The word “story” is a rather ambiguous word. It’s ambiguous in that the word itself does not tell you whether the story is true or not. Thus we’ve come up with phrases to help us with that. When the story is true, we use phrases like ” the true story of…” or ” (story name), a true story”, or “the real story of” – to differentiate true stories from stories full of common misconceptions. We also have ways identifying stories that are not true. When we tell “fairy stories” we’re telling a story we’re acknowledging to be a fanciful, made up fictional string of events. Or we may end an explanation with “… that’s my story and I’m sticking to it.” Most people understand this as a tacit admission that parts or all of the story might not true, but the teller of the story is unwilling to tell “the truth, the whole truth and nothing but the truth” as you would in a court of law. So, then as now, there were really two observances of Christmas: a God-honoring religious observance, and a pagan God-ignoring secular one. 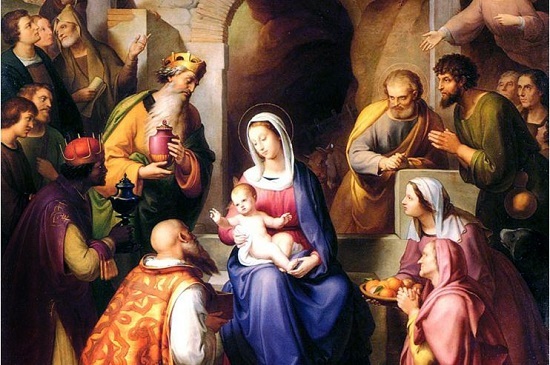 I have two questions for you this Christmas day: Which one are you celebrating, and if you’re a Christian, are you careful to make sure people know which one you’re celebrating? When the gospel writers spoke of the nativity, they used words to make sure we would understand it as a true event that happened. Luke calls his an “orderly account” (Luke 1.3), not a story. Children are very perceptive. As some have said, they often learn more from what is “caught” than what is “taught.” When you speak of Christmas, do you do so making sure people understand that you believe it to be not just a story, but a true story, a historical event? Or at least do they catch that you don’t celebrate this like some pagan holiday? Do they glimpse from you this is a time when we get to show God our heart of appreciation for coming as a non-threatening baby so he could woo us to himself and show us his love, so that we might be saved from the certain destruction that awaits if we choose to forsake him? And along with showing our appreciation and joy, our love for all men which overflows. Is that what they catch? Or do they catch nothing more serious than a desire to celebrate – any reason will do. May as well be “Festivus for the rest of us.” If that’s what people catch from you regarding Christmas, perhaps some meditation on exactly who it is is who paid us a visit all those years ago is in order – and what the appropriate response should be. This entry was posted in Bible, Christmas, Gospel, Incarnation, Jesus The Messiah, Meditation, Pagan Religions by Duane Caldwell. Bookmark the permalink.